TR2-8 RHD Lucas Headlamp set consisting of 2 lamps and 2 H4 halogen bulbs. these lamps have no pilot lamp. The headlamps on TR2's have often been described as glow-worms, TR6 standard lamps are not much better. These H4 Halogen conversions should improve matters greatly. 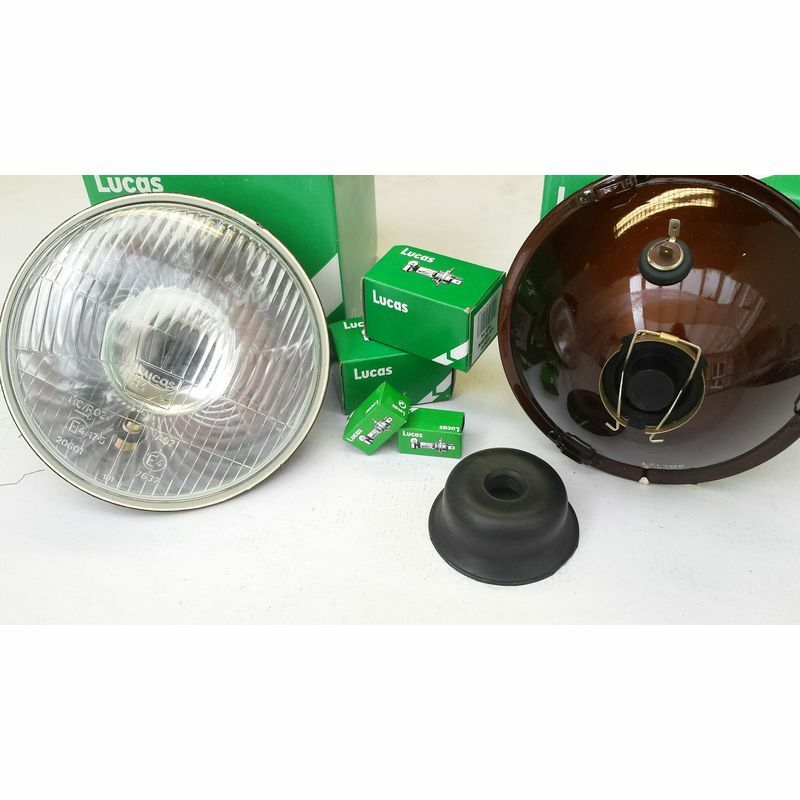 There is much confusion between the TR250, TR5 and TR6 parts books as to the correct part numbers for headlamps. In most TR6 parts books for instance 514578 sealed beam unit is listed for both Home Market (i.e. Right Hand Drive) and USA, which is of course Left hand Drive. 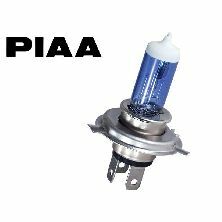 Revington TR information: TR2-8 LHD WIPAC Halogen conversion per pair clear bulb with pilot light. 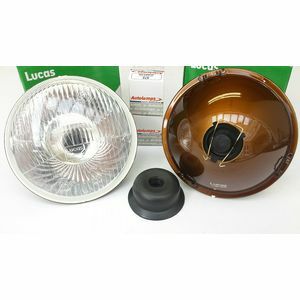 Revington TR information: TR2-8 RHD Per pair clear bulb with pilot light, Lucas. Revington TR information: TR2-8 RHD Per pair clear bulb with pilot light, Wipac. Revington TR information: TR2-8 LHD Per pair WIPAC, no pilot light, clear bulb.